Well Massa announced he is leaving Ferrari (on AutoSport). Until official word from Ferrari I am going to deem this a fake. Real journalism is obviously dead. Yeah the pic has to be fake. There's no additional forehead protection for that "Oh crap! I'm doing 300kph and that guy ahead of me, I think a piece of his engine just flew off" moment. Those Schuberth helmets are tops. I like the way the front chin area is shaped compared to the Arai. 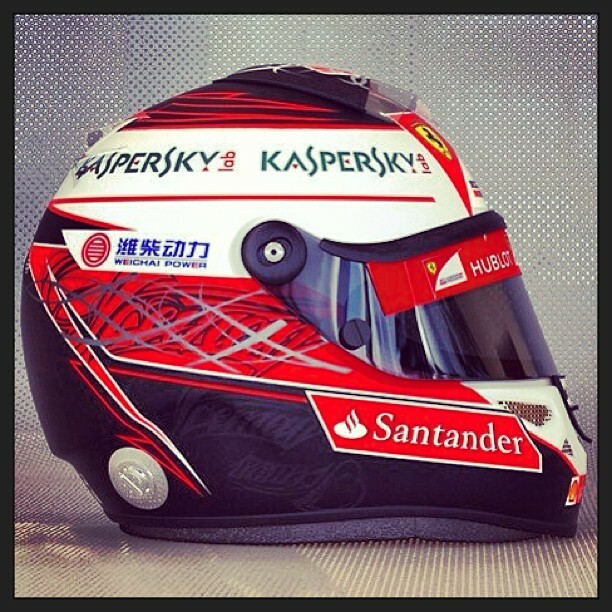 The shape reminds of Senna's old Shoei helmet from '93. Domenicali is probably too tickled to have Kimi in the team. I envision him feverishly pleading his case to Montezemolo, "Godfather, I know all my efforts have come to nothing. I know I'm the real problem with the team, but you've got to get Kimi back! We need Kimi to help me save my job!" Also does anyone know the Vegas odds, the over-under on how long its gonna take Alonso to crack next season. I'm thinking by Silverstone, Hungary at the latest. Anyone? Anyone? Yes but after you said it was "official" and then also said it was probably fake. How many different stories the last 4 days said it was "official" with no source? Not ragging on you you just followed the mice to the piper. The contract has been signed for weeks...and we've been discussing it for weeks, obviously it became "official" when Ferrari issued a press release earlier today.